Om Puri died today. The reason of the death of Om Puri is reported to be a heart attack. He passed away at the age of 66 at his home in Mumbai this morning. In his entire career, he was part of more than 250 movies and was popular within India and across borders. Anupam Kher was one of the first to arrive at his home after getting the news of Om Puri’s death. Puri was a long time friend of Kher and has acted in numerous films. Moreover, once he got to disagree with him publicly. He told reporters that he had the last conversation with him two days ago. Anupam Kher took it to the micro-blogging site and tweeted the following. OmPuri took birth to a railway officer in Ambala, Haryana. He studied cinema at the prestigious Film and Television Institute of India at Pune. Also, he was a fellow student in the class of 1973 at the National School of Drama along with Naseeruddin Shah. Puri made his debut in the world of cinema with the 1976 release of Marathi film Ghashiram Kotwal. He portrayed Vijay Tendulkar in that flick. Om came into limelight with innovative and pioneer movies like Ardh Satya, Aakrosh, and Paar. His popularity reached par excellence in the mainstream films. In the 1980s, it was described as the parallel cinema. Fans liked his roles in movies like Maachis and Jaane Bhi Do Yaaro. OmPuri, Naseeruddin Shah, Shabana Azmi, and Smita Patil were among the critically acclaimed actors who were the part of award-winning flicks like Bhavni Bhavai (1980), Sadagati (1981), Ardh Satya (1982), Mirch Masala (1986), and Dharavi (1992). Moreover, he played a cameo in Richard Attenborough’s Gandhi In the 1990s. And it was strictly noteworthy. Later on, he got himself involved in films for masses and not for critics. 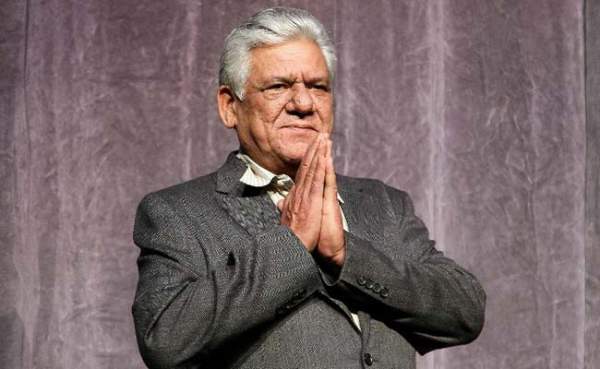 With the course of time, OmPuri made himself a place in the American and British productions. The notable Hollywood films include City of Joy (1992) with Patrick Swayze, Wolf (1994) with Jack Nicholson and The Ghost and the Darkness (1996) with Val Kilmer. He played General Zia-ul-Haq in Charlie Wilson’s War, which stars Tom Hanks and Julia Roberts.